Perhaps it’s about time for some soul-searching. Chancellor Angela Merkel’s conservative Christian Democrats (CDU) and their junior coalition partners, the center-left Social Democrats (SPD), are even further apart after each party held talks on Sunday. The Social Democrats are suffering from the fact that they, as the party of solidarity, have been making cuts to social welfare for the last 16 years, paving the way for the socialist Left party to enjoy a stable 10 percent in Germany’s parliament, the Bundestag. The Christian Democrats, who govern as senior coalition partners along with their Bavarian sister party, the Christian Social Union (CSU), are struggling with the irony that they, as the party of “law and order,” lost popularity due to their relatively liberal immigration policy during the influx of refugees in 2015. Since then, the far-right populist Alternative for Germany (AfD) has won at least 10 percent of voter support in all of the country’s 16 state parliaments, as well as on the national level. In addition, Germans appear fed up with what is now the second consecutive grand coalition government between the conservatives and SPD, and third overall since 2005. The two parties both suffered historic losses during Germany’s 2017 national elections, prompting their underlying problems to boil to the surface. These woes have been hanging over the parties for some time now, and it’s starting to show. The CDU is taking on the issue of Merkel’s refugee policy in a series of sessions being called “workshop talks.” The chancellor herself has stressed several times that a situation like 2015 must never be repeated. 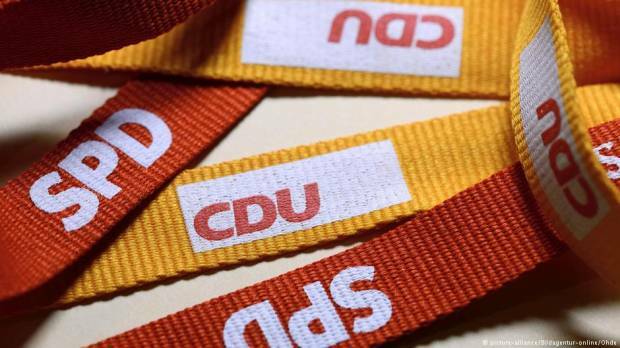 After naming a new party leader, the CDU can now once again dissect the political fallout on the right from those events and come up with a plan to ensure that history does not repeat itself. But for the conservatives, the most important thing is that the critics, both inside and outside the party, recognize one thing: The CDU sees the errors of its ways and it wants to remedy them.